There are plenty of spots in your house where a lamp would be beneficial, but are you taking advantage of those opportunities? 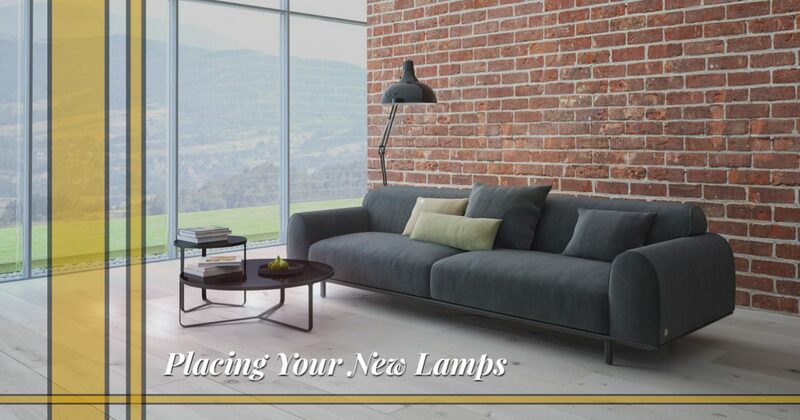 If you’ve noticed that a certain corner or part of a room could use a lamp, Passion Lighting in Grapevine is here to help. With our selection of table lamps, floor lamps, and more, you can find the illumination you need in your bedroom, living room, and beyond. In this post, we’ll look at some places where new lamps would work perfectly. Modern bedrooms often still incorporate bedside tables, but do you have the right lamps for those tables? If you attempt to read before bed by only using the overhead fixture, it might be time to shop for new bedroom lamps. Light from above can cast shadows on the page you’re reading, and you might not be getting the lumens you need to avoid eye strain. A well-placed table or wall lamp beside the bed will eliminate this issue, and you can turn off the ceiling light and still have enough illumination by which to see. You spend a lot of time in your living room, either watching TV, reading, or conversing with friends and family. 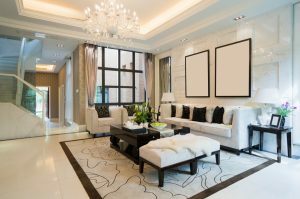 It’s important to have the proper lighting, and while your ceiling fixture may be adequate, it’s important to add accent lighting in certain areas. If you have a dedicated spot for reading in the corner of the room or in a nook, place a floor lamp and you’ll have the perfect lighting any time you sit there. If you have a game area for putting together puzzles with the kids or playing board games each weekend, enhance the space with new lamps. Your home theater area can also benefit from lamps, since you most likely don’t have the overhead light on while you’re watching a movie. Lamps with three-way bulbs or dimmer capabilities can provide the ideal lighting when the screen is on and you’re engrossed in the latest blockbuster. Speaking of lamp bulbs, you’ll want to be sure that once you’ve chosen your new lamps that you have the proper bulbs for each one. There are so many LED, halogen, and CFL options available these days that it can be confusing when you’re at the store and you’re trying to buy new bulbs. The experts at Passion can help you understand lumens, wattage, and the appropriate ratings for each lamp you own. You’ll also want to consider color temperature, since the right light color can make a huge difference depending on what the lamp is being used for. If you’re shopping for new lamps, or you want to swap out those old incandescent bulbs that have been using up too much energy for too long, visit our store in Grapevine today. We would love to meet you and help you discover new options that will enhance your home and brighten your life. Visit us at 1649 W Northwest Hwy, call us at (866) 266-6555, or use the form below!